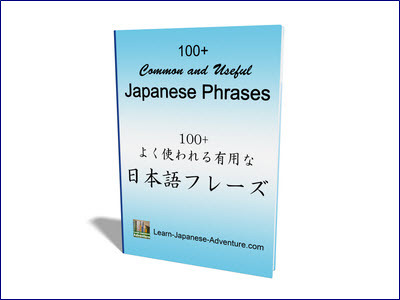 In this lesson you will get to learn the Japanese grammar ため (tame). It's used to describe something (noun) or some action (verb). This "something or action" is for the benefit of individual or group. Besides, it can also mean "for the purpose of" or "in order to". For the Benefit of "Noun"
This means that NounB is for the benefit of NounA. 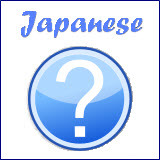 Meaning: This is a Japanese dictionary for (the benefit of) foreigner. Meaning: This is a book for (the benefit of) children. Meaning: This is a dish for (the benefit of) vegetarian. Meaning: This is a seat for (the benefit of) elderly. Another sentence pattern is by changing the second noun with a verb (action). This one describes the action (Verb) is for the benefit of Noun. Meaning: I am working very hard for the benefit of my family. Meaning: I am making cake for (the benefit of) my lover. Meaning: Teacher is writing the word with big strokes for (the benefit of) students with bad eyesight. 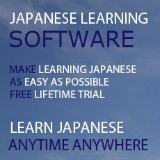 Meaning: Please speak in English for (the benefit of) people who doesn't understand Japanese. Just remember to use ための (tame no) to describe noun and ために (tame ni) to describe action. In this case, a dictionary-form verb is placed before tame ni instead of a noun. Meaning: I am studying very hard in order to become a doctor. Meaning: My younger brother is saving money in order to buy a bicycle. Meaning: I am studying Japanese in order to read manga. Meaning: My friend went to Italy in order to learn cooking. In summary, this Japanese grammar tame is used to express the benefit/purpose of something or doing some action.